It’s hard to believe how competitive the eyewear game is these days. Seems a new design house is popping up every week. And as lovers of all things optical, we could not be happier. 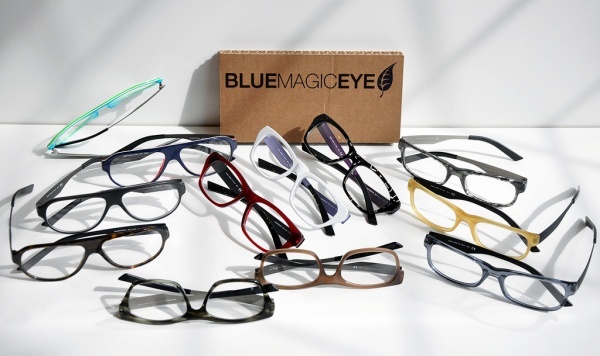 One of the latest brands to get moving is Italy’s Blue Magic Eye. Named after the “product,” in the the film American Gangster, creators Guya Montermini and Ciro Tugnoli began with a mandate of no logo. It appears to have been the right choice as this concept of no brand embellishments has been wildly successful for the upstarts. With several bright colour choices and dozens of style options we have little doubt, Blue Magic Eye will become an addictive presence to eyewear conniosseurs everywhere. Available online. This entry was posted in Accessories, Collections, Eyeglasses and tagged American Gangster, Blue Magic Eye, Italy, Italy Blue Magic Eye. Bookmark the permalink.